There is faith and then there is FAITH! Man was not created to doubt. Doubt is man-made. Faith is God-given. God gave us the ability to discern, but some of us think on things so much that we leave discernment and head straight into doubt. And fear is following right behind doubt! 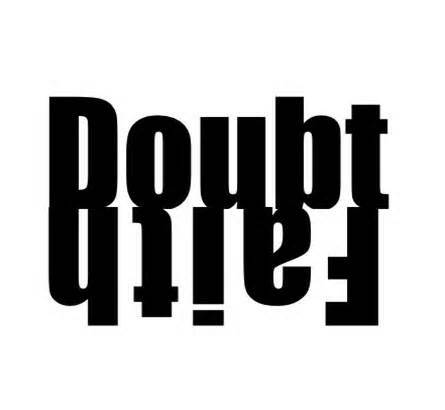 I know doubt, I lived with doubt for years in my life. When I was little I would ruminate on a situation for so long I would leave doubt and go to fear. When you grow up with this habit what you get is an adult who is easily lead into fear; in every situation.